Lab-Grown Diamond 4C Reports - Which lab? Why? Price? 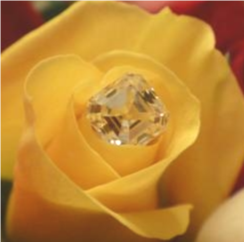 Discussion in 'Laboratory-Grown Diamonds /Man-Made Diamonds (MMD)' started by appreciate_the_help, Apr 15, 2019. Need some help understanding what to look for when it comes to a lab-grown diamond's "4C" lab report. GIA and AGS don't seem to really be players in this arena - so which labs DO offer reports and which ones are actually credible? Cost is always an issue. Do some laboratory reports cost more than others? Why? Should I look for a report that has more than the basic "4C" information? (Things like light?) Thanks! GIA does grade MMDs and has recently shifted their position on how much data they include in the reports (there's a post somewhere in this section of the forum covering it) but they are not as detailed as the Mined diamond reports, it is true. I have to get some work done today so can't look right now but check out the sellers in the List of MMD Sellers thread and you can see the different grading report options that are out there. Some are better than others IMO (some of the reports on the August Vintage stones are very good, I think) but it is true to say it can be hard to compare between them because they are different from each other.